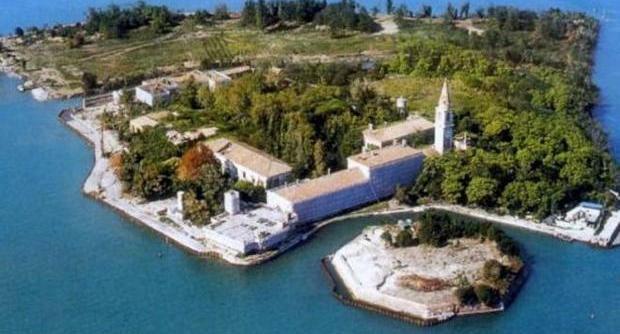 As predicted by Private Island News on May 15th 2014, the controversial auction of the world’s most haunted island – Isola Poveglia – has this week been plunged into chaos after increasing public pressure forced Italian governmental officials to intervene and reject Luigi Brugnaro’s winning bid. Despite successfully acquiring a 99-year-leasehold for the island at auction last month, local businessman Mr. Brugnaro – who is yet to comment on the decision – was later informed that his winning offer of EUR 513,000 was to be rejected, after representatives of the Special Commission of the Italian State decreed that the bid was too low. The move to nullify Mr. Brugnaro’s winning bid represents yet another controversial island-related decision for the cash-strapped Italian government, who most recently roused ire in January 2014 after exercising the first right of refusal to overturn the sale of Isola Budelli, a 420 acre island set between Sardinia and Corsica. Whilst deemed by conservatives as a “waste of public resources” in the face of ferocious fiscal spending cuts, the decision to prevent the sale of both Isola Budelli and Isola Poveglia has been greeted with a warm response from the country’s left-leaning parties (Verdi, Sel and M5S) and its many green-thinkers. “[Isola Poveglia] will remain in the hands of the state because a EUR 513,000 offer from Luigi Brugnaro was judged ‘not adequate,’” explained Pesola. “There are no such odd calculations that can justify such a low sum for an island. We were counting on the authorities to call off the auction altogether,” he continued, before adding that it was now “unlikely” that the island will be heading back the auction block any time soon. Touted for a radical development ever since news broke that the island was up for sale, the auction of Isola Poveglia attracted controversy from the off, with rumours circulating that winning bidder Luigi Brugnaro planned to transform the tranquil island into an exclusive hotel and leisure complex. Formerly a quarantine station for ships arriving in Venice, the innocent-appearing Isola Poveglia gained its spine-tingling reputation during the 14th century, when it was used as a plague colony – a dumping ground for bodies – both dead and alive – infected with the deadly bubonic plague disease. Investigators have since reported “unnaturally high levels of paranormal activity on the island”, including the ghost of a young plague victim – Little Maria – and the haunted spirits of an evil hospital director and his dozens of tortured victims. Since the island’s last recorded use as a mental asylum, however, Isola Poveglia has been left abandoned to nature.